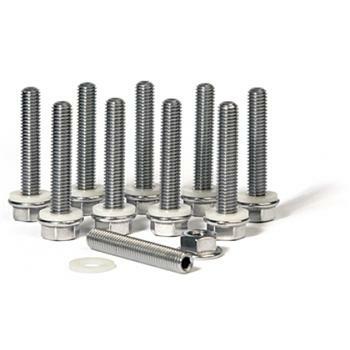 BLOX Manifold Stud Kit - Dezod Motorsports Inc - Home of the automotive performance enthusiast since 2002. BLOX Racing offers a manifold stud kit to be used with its line of performance intake manifolds and thermal intake manifold gaskets. The BLOX Racing stud kit ensures that the intake manifold will have enough threading to properly bolt on when using its thicker intake manifold gasket.